Millions around the world were left watching in anguish on Monday as one of Paris' most iconic landmarks, Notre Dame Cathedral, burned. 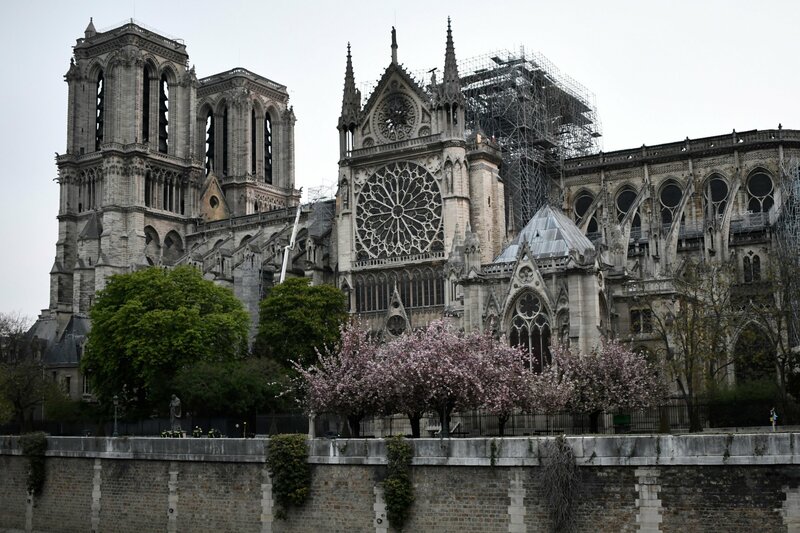 Firefighters were able to save the 850-year-old cathedral's main stone structure, including its two towers, but the building's spire and most of the roof were lost in the blaze. And while tributes honoring Paris' historic cathedral poured in from all corners of the globe, in Montreal, the bells of another Notre Dame rang out, sending a message of solidarity from across the Atlantic. 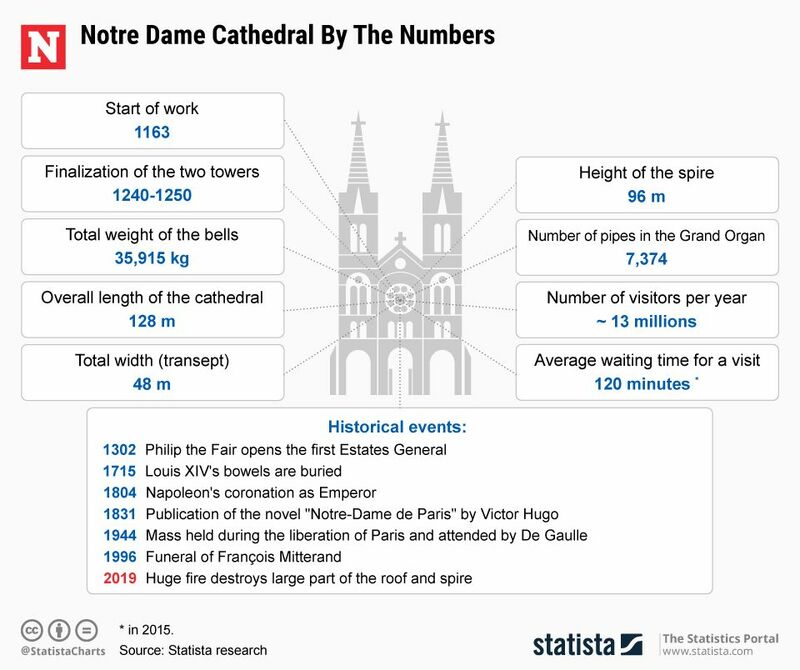 Onlookers used Twitter to share news that the bells of the Notre Dame Basilica of Montreal had joined churches and cathedrals around the world in ringing its bells for at least a full minute. "Notre Dame Basilica of Montreal bells are ringing as a sign of support for #notredamedeparis," one onlooker, Simon Plourde, wrote on Twitter. "Heartbreaking." "They never ring midday," another onlooker, Robert Jago, who shared video of the bells ringing, wrote. The basilica's pastor, Miguel Castellanos, said he had been left in shock after learning about the fire that had consumed Paris' Notre Dame. Describing the cathedral as an "exceptional cultural, historical and religious symbol" known around the world, Castellanos told broadcaster Global News: "Our heritage is very fragile. Together, let's take great care of it to preserve our treasures." Montreal's mayor, Valérie Plante, said her heart was with everyone in Paris and in France, adding, in a tweet, that she was "pained to see flames ravage such a beautiful jewel of patrimony." With the Québec city's Notre Dame having been inspired by Paris' historic cathedral, many mourning the destruction of Paris' Notre Dame on social media accidentally shared images of Montreal's basilica, confusing the two. Montreal's 190-year-old Notre Dame was constructed under the leadership of New York protestant architect James O'Donnell, who had been inspired by the growing Gothic revival style in Europe and the U.S. The architecture of Notre Dame Basilica of Montreal was inspired by the two towers of Notre Dame de Paris and Saint-Sulpice, according to the basilica's website. In addition to Montreal's Basilica, there are at least two other Notre Dames that drew inspiration from Paris' iconic cathedral, with the Cathedral of Notre Dame in Strasbourg, France, and the Notre Dame Cathedral in Phnom Penh, Cambodia, also carrying the name. Investigators in Paris have said that they were still working on the assumption that Monday's fire was started "involuntarily," and have no reason to suspect any criminal motive for the blaze.